The prestigious UK Open is just weeks away with 160 players battling out for over £400,000 in prize money. 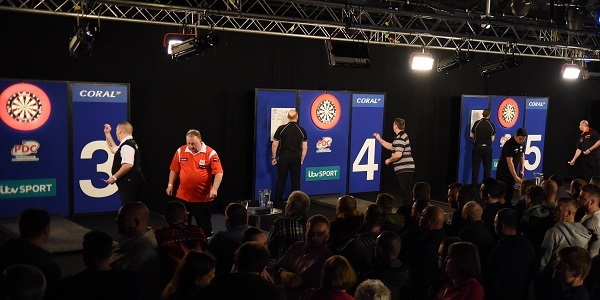 After the recent qualification criteria alterations, the 128 tour card holders will be handed an automatic spot in the tournament, with them being joined by the top 16 Challenge Tour players and then an additional 16 amateur throwers – who will earn their right to play in Minehead through knockout tournaments held at Riley’s Sports Bars across the country. 13 Riley’s clubs and bars across England will host events as Riley’s and the Professional Darts Corporation team up for a fourth consecutive year in order to make the UK Open the spectacle that is it year-on-year. Darts Planet TV will be covering the duration of the qualifying events throughout the four-week-long period. If you’d be interested in participating for a chance to play in front of thousands at the UK Open and emulate the likes of Rob Cross, Richard North, Andy Hamilton and Paul Hogan in qualifying for the tournament as a Riley’s qualifier, you can register on the Riley’s official website. The tournament will consist of a best of seven format throughout the duration, entries cost £8 and all entrants must be 16-years of age or above.